We welcome responsible pet owners looking for pet friendly camp grounds. 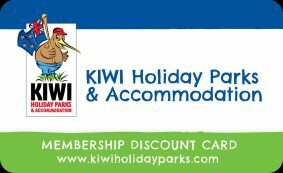 Our park-like camp grounds and facilities allow you to bring your furry family member with you on your Havelock or Marlborough camping holiday. Guests are required to declare their pets upon booking. Some restrictions apply, so it is wise to check before arrival but we aim to do our best to accommodate those well-traveled pets that love the great outdoors as much as you do. Should you be accompanied by a pet then the following rules shall apply at all times. These rules have been designed to enable all guests, including those that don’t share your passion, to have the best experience possible while staying with us. All Pet owners are asked to read them carefully so they are fully aware what is expected of them. It is hoped you understand that these rules are necessary in order to ensure the safety and enjoyment of all our guests. If however you are not entirely happy or take offence to them then it would be best if you found alternative accommodation. Pets strictly by arrangement only. It is your responsibility to advise us about your pet at the time of booking, failure to do so may result in your stay being terminated without refund or being turned away upon arrival. Pets are only permitted in our own “Pet Friendly” Cabin or your own camper-van, caravan or tent. Pets are NOT permitted to be brought into the Park by guests staying in accommodation units, even if confined to a vehicle. We treat this very seriously and there will be no exceptions, so if a pet is discovered in an accommodation unit that is not designated “pet friendly” you will be asked to leave immediately without refund and a professional cleaning/de-contamination charge of NZ$75.00 will apply. Day visitors arriving with dogs must check with Management before bringing them into the Park. Pets are NOT permitted to be brought into the Park by day visitors without gaining approval of Management. If Guests have a visitor turning up with a dog, please immediately bring them to the Office or a representative of the Park for approval. If approval is not given or asked for then your visitor will be asked to leave the Park. Pets are not permitted inside any buildings. With the exception of certified service dogs, pets are not permitted to be taken into any of the Parks facilities or buildings. Dogs are to be strictly walked and toileted OFF the parks grounds at all times. Any accidental fouling whilst your dog is in the park is to be picked up immediately and disposed of properly. It is expected that the same will happen while walking or exercising them outside of the park grounds as well. Dogs must be kept under strict control and on a short lead at all times. They must be attached by way of short lead to a member of your party or your vehicle, or enclosed securely within their own cage or house. Under no circumstances shall a dog be permitted to roam free within the park grounds. Dog owners must ensure their pets are kept as quiet as possible. Owners are asked to ensure their pets are kept as quiet as possible at all times and do not cause annoyance to other guests. For this reason, your pet is not to be left unattended on your campsite. Management reserves the right to ask non complying pet owners to leave. Management reserves the right to request that you and your pet leave the park grounds if it finds that the above rules are not being adhered to or other guests feel threatened or upset by the presence of your pet.